Wine tourism suitable for wine lovers includes a visit to the wine cellars, tasting of wines and a deeper exploration of the wine regions. 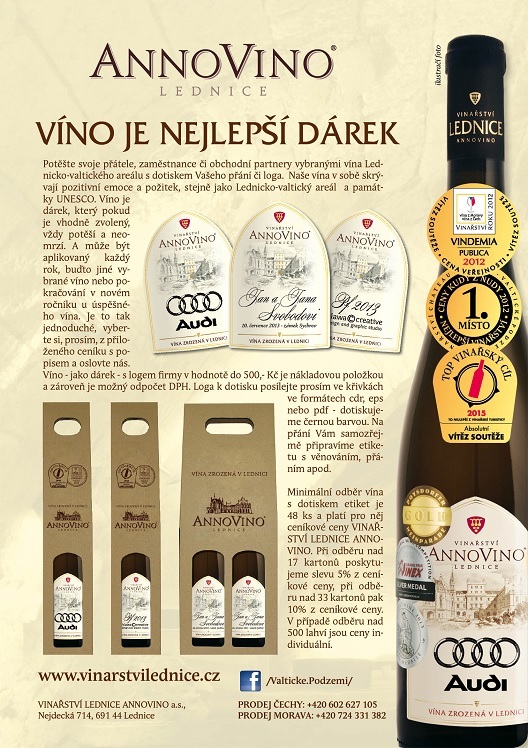 Follow in the footsteps of wine, and especially south Moravia, Mikulov, Hustopeče and other wine of renowned townships. Vino Kovacs - Penzion Kristyna Vino Kovacs, s.r.o. Vinarstvi Cervinka, spol. s r.o. Rodinne vinarstvi Rakvice - Vinopa Ing. Milos Vesely CSc.